Those attending the readings, panels and workshops this week during Get Let! 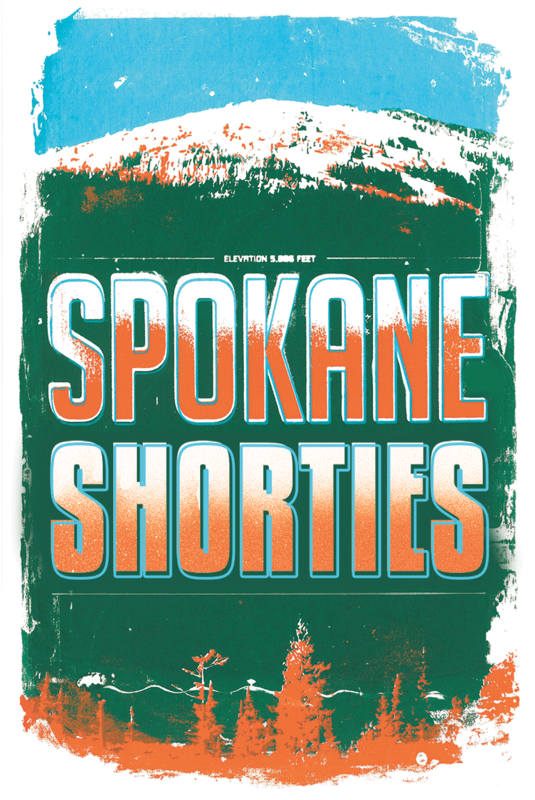 should make sure to look for Spokane Shorties, a new collection of short works by 36 Inland Northwest-based and some once-local writers. The project, spearheaded by local freelance writer Kevin Taylor, also a former Inlander staffer, includes submissions from many featured Get Lit! authors, including Kris Dinnison, Beth Cooley, Jess Walter, Sharma Shields and Thom Caraway. Taylor was inspired to curate the collection, printed by Spokane-based Gray Dog Press, after seeing writer Steve Almond selling his own mini-books at a past Get Lit!. If the collection’s cover art looks familiar, it’s based on a similar poster print designed by Inlander art director Chris Bovey. Proceeds from the sale of Spokane Shorties ($8) will help fund future Get Lit! programs. After the festival it will be for sale at Atticus Coffee & Gifts and Boo Radley’s.